From brands and budgets to authentication and paperwork, Alex Stonely – Head of Retail at pre-owned watch specialists Watchfinder & Co. – offers his expert opinion on purchasing a second-hand timepiece. 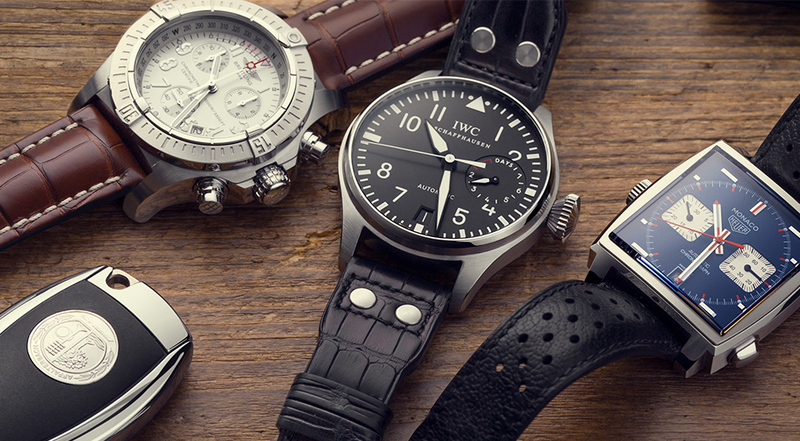 WHAT ARE THE KEY THINGS TO CONSIDER WHEN PURCHASING A PRE-OWNED TIMEPIECE? It’s often a question of budget, which will then determine the age of the watch you’re looking to purchase. A year-old watch will command a higher premium than a ten-year-old one, though the older watch will have stronger residuals. The watches we deal with are built to last many lifetimes, and Watchfinder & Co. can maintain them at our manufacturer-certified service centre, so an older watch can prove to be a great investment. WHAT ARE THE BENEFITS OF PURCHASING PRE-OWNED? Mainly value. If the watch you’re buying pre-owned is a current model, you’ll see a clear saving over the current recommended retail price, or if it’s a previous version, you can compare it to the cost of the latest model. Plus, the residuals are stronger as – with most models – the biggest drop is from new to pre-owned, after which point the value is either maintained or it increases. It also depends on the specific model you prefer. In a lot of cases (especially with Rolex Sports watches) when a new version is released, the discontinued model becomes even more desirable, further increasing its value. HOW CAN A BUYER CHECK THE PROVENANCE AND AUTHENTICITY OF A TIMEPIECE? With the market as it is, the only way to be fully protected is to purchase from a reputable retailer. All Watchfinder & Co.’s timepieces are thoroughly inspected at our manufacturer-certified service centre – accreditation that requires a wealth of testing and inspection by the manufacturers themselves – and go through several stages of quality control to ensure the best possible condition at sale. HOW IMPORTANT IS IT TO LOOK FOR PIECES THAT COME WITH THE ORIGINAL BOX AND DOCUMENTS? Not as important as you think. Every watch we sell goes through the same inspection process whether it has box and papers or not, and there’s a cost saving to be had from purchasing a watch without papers, so you could get the same model for less money. WHAT ARE THE MOST POPULAR BRANDS FOR RESELLING? Rolex is the top brand for us, along with Breitling, Omega, Tag Heuer and Cartier. WHAT ARE THE BEST BRANDS TO PURCHASE, IN TERMS OF RETAINING VALUE? A lot of people would answer this question with Rolex or Patek Philippe, and there are plenty of those watches which have proved to be great investments over the years, but ultimately I think that people should buy what they like, and if what they choose happens to also be a great investment then that’s a bonus. WHAT KIND OF WARRANTY DO PRE-OWNED TIMEPIECES COME WITH? Every watch sold by Watchfinder & Co. comes with a minimum 12-month warranty, backed up by our manufacturer-certified service centre. For further information on pre-owned timepieces, visit The Royal Exchange Watchfinder & Co. boutique, or call the store on +44 (0)20 8510 8767.